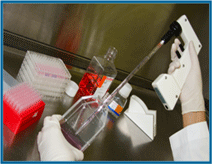 PBR has been offering Genetic toxicology services since 1985 to public as well as private sector clients. Currently, it is the only full service genetic toxicology laboratory operating in western Canada under the leadership of Dr. Ram D. Mehta, a widely known and experienced Canadian genetic toxicologist. PBR offers a variety of in vitro and in vivo genotoxicity assays including those constituting the regulated battery of assays designed to detect physical and chemical agents that induce genetic damage by various mechanisms and are used for the registration of pharmaceuticals for human use and risk assessment from exposure to mutagenic and potential carcinogenic agents. In addition, PBR offers rapid screening assays that are cost-effective in assessing genotoxicity of products specifically during drug discovery and development stage. PBR also provides in vitro cytotoxicity testing services to pharmaceutical, cosmetic and medical devices industries to screen products for bioreactivity, cell viability and cell growth inhibition. PBR participates in validation of the newly developed assays and runs an active Research and Development program focused on incorporating new technologies in enhancing high throughput capacity, sensitivity, applications and reproducibility of the existing standard genotoxicity assays. PBR operates under national and international testing and GLP (Good Laboratory Practices) guidelines. We closely work with our sponsors in developing a testing strategy aimed at meeting their needs. PBR offers genotoxicity assays listed below which can be used at various stages of drug safety evaluation from preclinical testing to clinical trials. The selected assays are also used for health risk assessment (biomonitoring) from environmental and life style based exposure to mutagenic and potentially carcinogenic agents. 471/472 Bacterial Reverse Mutation (Ames) Assay Five Salmonella strains ( TA97, TA 98, TA100, TA1535, TA102) and two E.coli strains ( WP2 uvrA or WP2 uvrA (pKM101)) can be used in place of TA102. 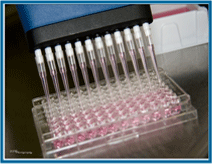 Plate incorporation, Pre-incubation-Microsuspension, AmesII™ and MPF™ protocols. 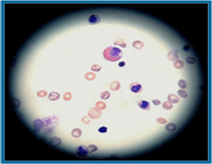 Detects micronuclei in polychromatic erythrocytes in the bone marrow or peripheral blood. This assay demonstrates high concordance with the in vitro metaphase chromosome aberration assay and mouse lymphoma L5178Y cells Tk (thymidine kinase) gene mutation assay. Use of Flow cytometric analysis with in vitro MicroFlow® kits allows rapid scoring of large cell numbers and micronucleus frequency measurements with cytotoxicity indications. Flow cytometric analysis using in vivo MicroFlow® kits allows a rapid scoring of large cell numbers and micronucleus frequency measurements in bone marrow or reticulocytes in rat blood. It provides enhanced statistical power because of the ability to analyze roughly 10-fold more cells. (Any tissue) The assay can be integrated into general toxicological studies (with acute or repeat dosing) to reduce use of animals and ongoing clinical studies. The International Conference on Harmonization of Technical Requirements for Registration of Pharmaceuticals for Human Use (ICH), on November 9, 2011, has approved new Guidelines S2 (R1) on Genotoxicity Testing and Data Interpretation for pharmaceuticals Intended for Human Use, which replace and combine the previous ICH S2A and S2B Guidelines. According to the revised guidelines, ICH S2 (R1), the standard genetic toxicology battery consists of the following genotoxicity assays which are offered by PBR. 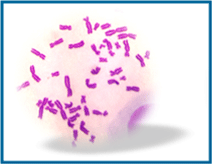 1.Chromosome aberrations: CHO or HPBL. 3. 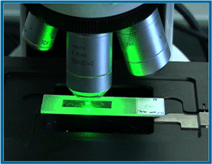 Micronucleus assay: Performed by Standard protocol or with Flow cytometry using in vitro MicroFlowR Kit. In vivo micronucleus or chromosome aberration assay (mouse/rat bone marrow or blood) –can be integrated into repeat dose studies. In vivo gene tox assay with two tissues: -micronuclei-Rodent hematopoietic cells- with Flow cytometry using the MicroFlowR method. -2nd In vivo endpoint (Comet)- Rodent liver or other tissue. These can be integrated into repeat dose studies. Screening assays are cost-effective methods of assessing genotoxcity and carcinogenic potential of products during the Research & Development phase. Some of the benefits of utilizing the screening assays are the identification of suitable/unsuitable products during development, low cost, and a shorter testing time. 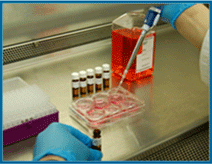 These assays allow clients to predetermine the results of the regulatory required tests. 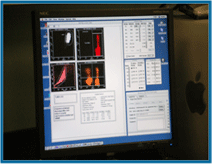 Screening assays can also be designed/customized to meet the specified needs of the client. 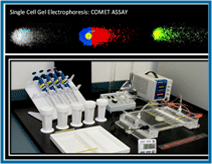 Cytotoxicity assays are offered to pharmaceutical, cosmetic and medical devices industries for screening products for cell viability, bioreactivity and cell growth inhibition. 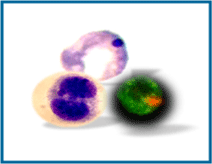 The cytotoxicity evaluation can be custom designed based on the sponsor’s requirement.